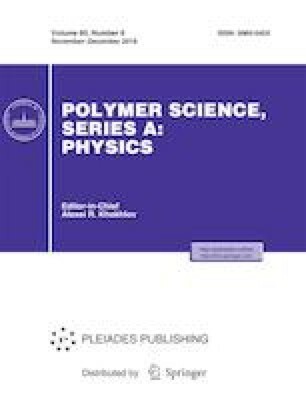 Isocyanate-capped chains of poly(teramethylene oxide) (PTMO) are synthesized by the reaction of hexamethylene diisocyanate and polytetramethylene glycol in 2 : 1 molar ratio. Then, the resulting telechelic macrochains are covalently grafted to silica nanoparticles via formation of urethane linkages. Amine-functionalized silica nanoparticles coated by soft and flexible shell of poly(teramethylene oxide) are obtained after hydrolysis of the remaining isocyanate end groups. These organo-silica nanoparticles are homogeneously loaded into diglycidyl ether of bisphenol A epoxy resin in two different contents, i.e. 5 and 10 wt %. Alongside isophorone diamine as the main hardener of the resin, amine groups of the poly(teramethylene oxide)-grafted nanoparticles allow them to participate effectively in the hardening process. The resulting epoxy/silica nanocomposites are thoroughly characterized by field emission-scanning electron microscopy, fourier transform infrared spectroscopy, and X-ray diffraction. Dynamic mechanical thermal analysis showed that the filler considerably enhances storage moduli of the resulting nanocomposites. However, probing the thermal properties of the epoxy/silica nanocomposites by thermogravimetric analysis and differential thermal analysis showed that the filler has no significant effect on the heat stabilities and thermal phase transitions. The authors wish to express their gratitude to the Faculty of Chemistry and Research Council of Damghan University for financial support of this work.